This type of ice machine can be installed on a ice storage bin or ice dispenser. 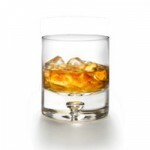 They are available in a variety of ice cube styles. 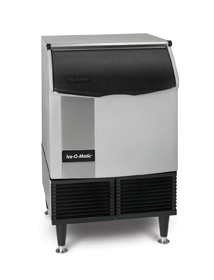 These are the most popular type of ice machines to lease. 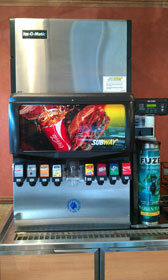 This modular cube ice maker is installed on a soda and ice dispenser for safe, sanitary cube ice dispensing in a Subway sandwich store. 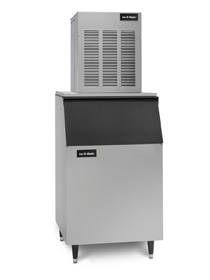 Modular nugget and flake ice makers are available in a variety of cooling condenser types. 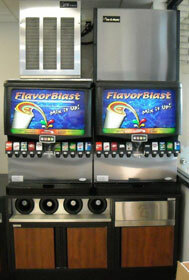 Nugget ice makers are popular in restaurants and convenience stores, and flake ice makers at grocery stores. Some customers, especially with convenience stores or fast food shops, want to give their customers a choice between cube ice and the very popular chewable, nugget ice. 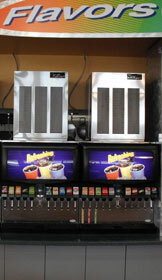 These ice makers are installed on soda and ice dispensers for safe, sanitary ice dispensing in a convenience store. "Under counter" cube ice makers are small, self-contained machines that are compact. They give lower ice-usage establishments ice when and where they need it. In an especially high volume convenience store, these nugget ice makers are installed on soda and ice dispensers for safe, sanitary nugget ice dispensing in a convenience store. The convenience store owners wanted to use nugget ice because it captures the flavor of their soft drinks and their customers love the chew it! Countertop nugget ice makers and dispensers are compact self-contained machines. They make the popular “chewable” nugget ice and are perfect for healthcare facilities and office break rooms. 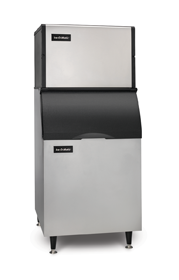 Ice makers are a necessity for the food service industry. 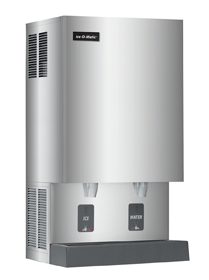 Carefree Ice provides your business with a consistent supply of sanitary, pure ice from our leased ice machines. Our goal is to provide the most reliable commercial ice machines, ice storage bins, ice dispensers and water filter systems available and lease them to you with no hassles, no capital investment and for a low monthly payment. We offer lease programs designed to save you time, money and effort that is better put to use in running and improving your business. No water filter—no way! Ice is food!